CEAD, a additive manufacturing company based in the Netherlands, is currently developing a large part 3D printer, called the CFAM (Continuous Fibre Additive Manufacturing). A far cry from your average home office 3D printer, this large printer is designed for a very special purpose–helping build ships. Maarten Logtenberg, executive director for CEAD, told Digital Trends “The CFAM printer is a large-scale thermoplastic composite 3D printer for industrial use… The machine we are developing is capable of printing 24 hours a day with engineering plastic and a continuous fiber on a very large scale. The technology is based on a single screw extruder with a weight of around 150kg, capable of temperatures of up to 400 degrees Celsius.” It should be able to work with standard granule plastics and engineering plastics, including PP, PET, ABS, PLA, and PEEK. The large part 3D printer is expected to be able to process 25 kilos of printed material every hour. The printer will be able to produce part dimensions 4 meters by 2 meters by 1.5 meters. One important feature of large part 3D printing is controlling the temperature of the printed part. This prevents warping the parts, both in production and during the test periods. Boat parts need to be able to withstand pressure while under water and have a slow corrosion rate. Boat parts produced by the CFAM printer will especially need to undergo thorough testing because it is creating such large parts. Models will go through extensive testing before shipped off to customers. The first prototype of the machine should be completed in the next six months. Although CEAD is still in the process of securing a patent, they already taking orders for 2019. They have five orders total from ship building companies. Logtenberg believes those first customers will have an advantage over their competition by being the first to use CFAM’s large part 3D printer technology. Customers will also have access to the first large part 3D printer (the one being currently built) so that they can start developing new products in the second half of 2018. HOW CAN YOUR COMPANY GAIN COMPETITIVE ADVANTAGE USING A LARGE PART 3D PRINTER? 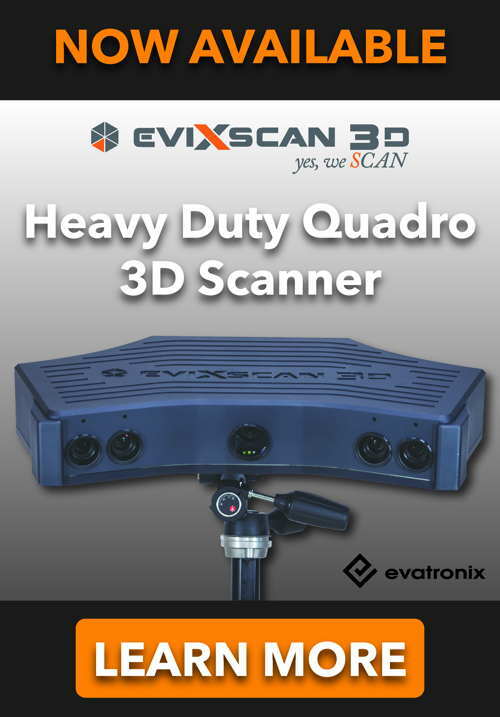 For your 3D scanning and 3D printing needs, please call Arrival 3D at 866-698-7784. How is the Furniture Industry Benefitting from 3D Laser Scanning?